Communication Network Audit | Fancom Connects Ltd. Most businesses today rely heavily on some sort of communications technology for voice, data or video applications. All internet applications such as Google, Facebook, Twitter, internet banking, online Visa payments, voice communications such as cell phone use and any sort or data communications including email are all dependant on an operational communications network. Standards and industry best practices are intended to have common installation procedures and maximize the performance of communications networks. These voluntary standards are highly detailed and require effort to study, understand and apply them properly. Unfortunately this effort is not made by some companies, resulting in some installations falling well short of standards issued by ANSI/ TIA, BICSI and other industry organizations. As businesses expand, move or update operations, changes to the communications infrastructure are often needed to accommodate more personnel, different applications or potential integration with other facilities across the globe. Before these moves, additions or changes are put into effect it is prudent to have a Communications Network Audit done. The purpose of the audit is to take stock of existing equipment and capabilities, make note of any current shortcomings or deﬁ ciencies and to make appropriate recommendations on what the network infrastructure should look like in order to efﬁ ciently meet future requirements of the business. The audit is best done by someone having the technical skills and hands-on experience to appreciate the current state of the network, be aware of current standards and industry best practices and how to combine the two along with emerging industry technologies to design a communications network that will meet current and future business requirements. The RCDD or Registered Communication Distribution Designer is such a qualiﬁed person. The RCDD accreditation is granted by BICSI (Building Industry Consulting Services International) and requires extensive study across a wide range of disciplines and several years’ practical experience. As well, maintaining the RCDD accreditation requires continuing educational credits (CEC) ensuring that RCDD accredited individuals are aware of emerging technologies and the standards that apply to them. 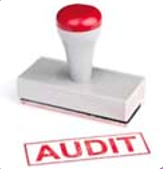 A communications network audit is a prudent investment for two reasons. It may save you money if you were intent on spending money you did not need to spend. An audit may also prevent expenditures on equipment that is not suited to your business purpose or is already obsolete if newer more efﬁcient technologies are already available in the marketplace. Fancom’s BICSI accredited RCDDs are your best choice to perform this valuable service.